There was no better day than this past Friday to dedicate the new Schneider Triple Chairlift. 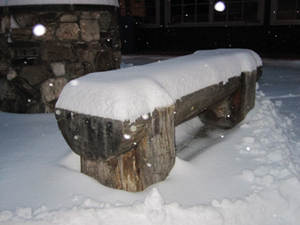 On Thursday we received a plentiful 11” of new snow. On Friday we opened most of our trails and glades under bluebird skies. The setting could not be any more perfect. Promptly at noon President and General Manager Ben Wilcox addressed the crowd that had gathered for the dedication. Wilcox explained the hard work that Mountain Manager Rick Oaks and his staff put forth in this project. This project was the completely spearheaded by a Cranmore led staff unlike other lift projects which were managed by the engineering company Doppelmayr. Wilcox then switched his attention to the person whom this lift was being named after, Herbert Schneider. Many of his family members were on hand to take part in the dedication. 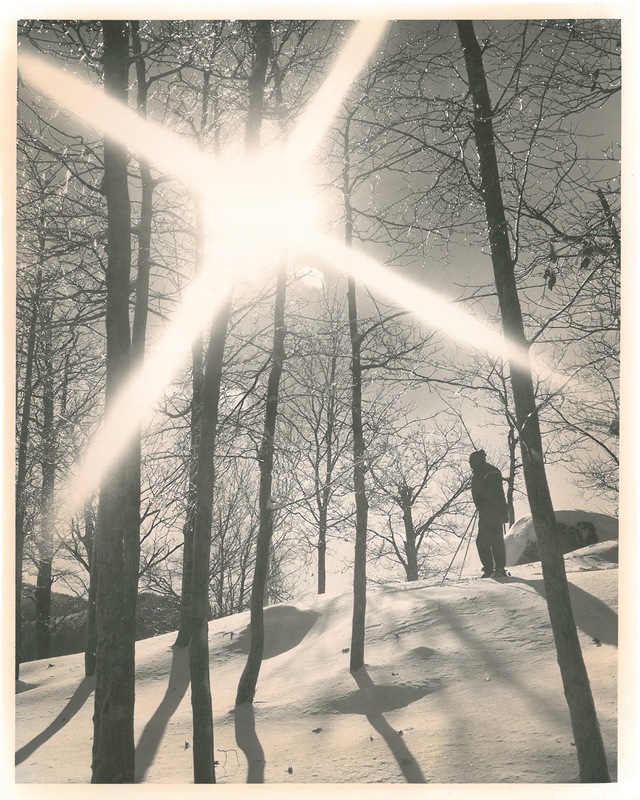 Herbert Schneider came to North Conway with his family from Austria in 1939. Schneider not only left his stamp on Cranmore Mountain and the Mount Washington Valley, he also had a huge impact on the United States of America. Schneider was part of the legendary 10th Mountain Division that fought in World War II which he was awarded a Bronze Star Medal. After World War II Schneider return to Cranmore where he spent many years as Owner and General Manager. Hebert’s ski industry resume is tremendously large; he was a co-founder of the Professional Ski Instructors of America and is a member of The Ski Hall of Fame’s class of 2009. Unfortunately Herbert passed away this past June at the age of 92. 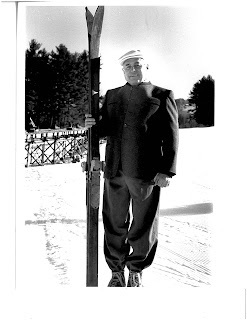 Though the loss still saddens many around North Conway, everyone at Cranmore thought there was no better way to remember Schneider than by dedicating the only new lift installed in New Hampshire this year in his honor. On Saturday December 22nd Cranmore had its first Skiing with the GM event. President and General Manager Ben Wilcox met and skied first tracks with season passholders. Plenty of people showed up anxious to ski first tracks. Passholders gathered at the base of The Skimobile Express Quad at 7:45 am and we departed for the mountain at 8am, a full half an hour before the general public is allowed to ski and ride. At the top of Cranmore Mountain Ben Wilcox began to fill everyone in on what is new at Cranmore Mountain Resort, many of the skiers faces lit up with the excitement of hearing about the recent investments that have been made over the past year, including new snowmaking equipment and of course the Schneider Triple Chairlift. The first run of the day was Schneider to Artist Falls with a stop to admire the new Schneider Triple Chairlift. As everyone gazed at the new lift line Wilcox explained the process of which the lift was created. After taking three runs all over the mountain, we took a step inside the Meister Hut where coffee and snacks were awaiting us. Everyone relaxed and gathered around to chat with Wilcox about all things skiing. It was a fantastic morning and a great way to start off our Skiing with the GM events. There are three more Skiing with the GM events and they are taking place on January 20th, February 10th and March 10th. Your prayers to Ullr, ski dances and odd rituals have paid off as Mother Nature has finally delivered us a bounty of snow. Cranmore has received 9 inches of new snow in the last 48 hours and conditions couldn’t be any better. 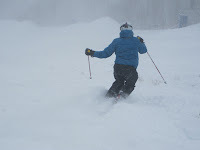 Powder hounds that were lucky enough to be at Cranmore were in for a treat. Many were rejoicing and grinning from ear to ear. Though our snowmakers have been working tremendously hard, it is nice to have Mother Nature chip in whenever she can. Cranmore literally turned into a winter wonderland overnight and just in time for the Holiday week coming up. With more snow in the forecast this week the skiing and riding this weekend will be the best it’s been all season long. On top of all the new snow there are plenty of events taking place to keep everything entertained. This Saturday the 22nd is Soaring Eagle Zipline Day. The public is invited to ride the Soaring Eagle Zipline for free from 9am-Noon. No tickets, wristband or waiver is required. Also on the 22nd is the Skiing with the GM Event. Passholders are invited to ski first tracks with Cranmore’s General Manager Ben Wilcox followed by coffee and snacks in the Meister Hut. Meet at the base of the high speed quad at 7:45am and load by 8:00am. Winter is just hitting its stride here at Cranmore and look for plenty of terrain to open and expand within the next few weeks as we plan to start phase 4 of our snowmaking plan. As of now Cranmore has only been open on weekends, but that all chances this weekend as Cranmore changes gears and shifts to daily operations. This weekend will be like the three before it as more terrain continues to open thanks to our dedicated snowmaking team. Look for Hurricane, Middle, Competition Slope and lower North Slope to be open which gives skiers and riders a third option from the summit of Cranmore Mountain Resort. On top of that, the new Matinee Terrain Park has been a hit with all the park rats. Currently there are 7 features set up. There are plenty of events coming up that should entertain everyone in the family. On December 22nd is the Skiing with the GM event. This allows season pass holders a chance to ski first tracks with Cranmore’s General Manager Ben Wilcox. After a morning of skiing or riding, coffee and snacks will be provided at the Meister Hut, where Ben will fill people in about the exciting new changes happening at Cranmore. Cranapalooza is back starting on December 26th. This is a favorite of both kids and adults. The first installment of Cranapalooza will have a Winter Wonderland theme. Jim Tyrell will be on hand with live music and Bobo the Clown will also be in attendance. There is nothing better than the holiday season here in North Conway. We hope that you will come up and join us in celebrating the holidays with us!